As technology advances, the need for Information Technology professionals will also increase. Specifically, a growing emphasis on cloud computing, mobile computing, and big data is driving the call for a new generation of skilled IT professionals. Among their many duties, IT professionals are usually responsible for fixing security issues and troubleshooting both software and hardware. People who are well suited to this field typically enjoy critical thinking, problem solving, and fast-paced environments. Though some duties can be similar, others will differ depending on your job title and the size of the company. The Information Technology program at Unitek College introduces students to the tools and technologies IT professionals typically use in the field. The following are a few jobs you will likely see in your search: computer user support specialist, helpdesk technician, desktop support technician, and network support technician. The first three often complete the following tasks: provide technical assistance, answer questions to resolve computer issues, and provide assistance related to computer hardware/software. The latter may include solving issues for printing, installation, word processing, electronic mail, and operating systems. Additionally, they oversee the day-to-day performance of computer systems. When the occasion calls for it, they also set-up equipment for employees. 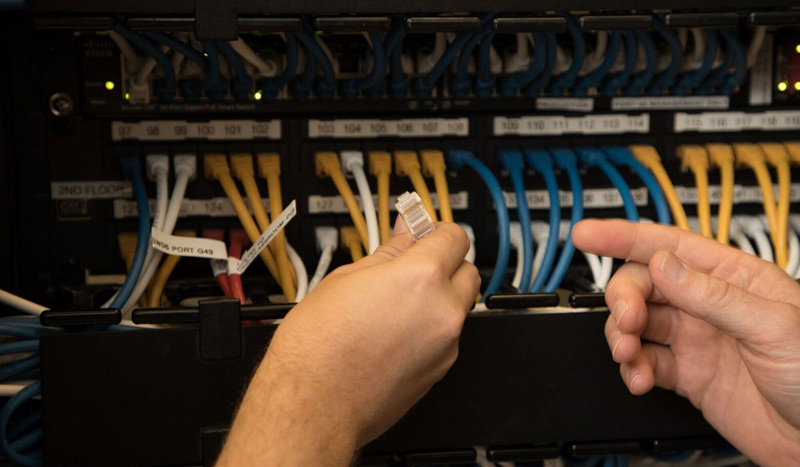 Network support technicians can expect to evaluate, test, and troubleshoot for existing network systems. They also perform network maintenance to ensure networks are operating well. Network support technicians typically identify network issues, document network support activities, configure security settings, and analyze network data for various purposes. Are you searching for health information technology programs? Unitek College offers an IT program that teaches students the basics of computer technology. Our curriculum prepares students to provide technical support, secure networks, and troubleshoot hardware and software issues. The program combines expert instruction with training exercises and a 160-hour supervised externship. After receiving diplomas, graduates will be prepared to pursue entry-level positions in computer system support. They’ll also be able to explain computer-related concepts to a myriad of audiences. On top of that, graduates can take current industry-recognized certification exams. These credentials are not requirements for graduation, but they can be of value depending on the student’s particular career goals. Our faculty members are available to advise students seeking such professional certifications. When searching for Information Technology programs, it’s important to consider your goals, location, and cost. If you’re looking for an engaging, profitable career, training to become an IT professional could be a great choice for you. Unitek College’s IT program is available at four campuses in Northern California. It also can be completed in under a year, which makes it ideal for those that are short on time. Fast learners and critical thinkers may want to think about accelerating their careers by partaking in the growing field of IT. For IT professionals, employment opportunities are expected to grow 10 percent by 2026.1 According to the Bureau of Labor Statistics, more IT professionals will be hired as companies continue to upgrade their computer equipment and their software. In 2016 alone, IT professionals held 835,300 jobs. The Bureau of Labor Statistics also lists the following as vital qualities for IT professionals: customer-service skills, listening skills, problem-solving skills, speaking skills, and writing skills. Customer-service skills are vital because computer support specialists must be patient and kind. They often assist people who are frustrated and not in the best mindset. For this reason, listening skills are also very important. Support workers must be able to understand their customers and determine what kind of issue they’re experiencing. Obviously, IT professionals must also have excellent problem-solving skills. They need to be able to identify both simple and complex issues before analyzing and solving them. Speaking skills are useful when explaining computer-related concepts to customers. Similarly, writing skills are also important, especially if a support specialist is communicating with customers through email correspondence or real-time web chats. If you’re interested in becoming an IT professional, please visit our website to learn more about our program and our convenient campus locations. Jump start your career with Unitek, today.